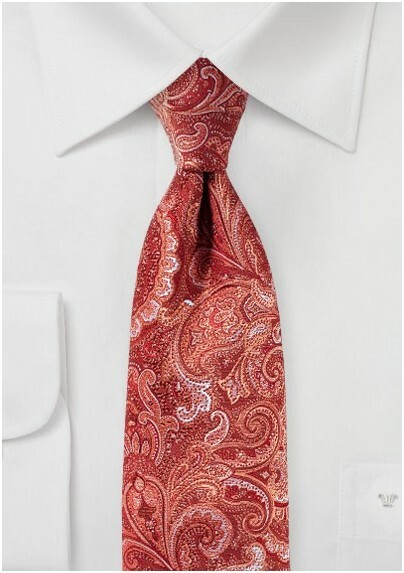 Make a statement with this elegant yet bold paisley tie out of PUCCINI's latest collection. The designer created this bold large scale paisley print using fine yarns in copper, bright red, teracotta, and peach. 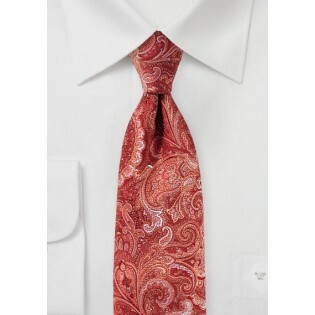 A great looking tie especially when worn with gray or navy suit.